This entry was posted in Uncategorized and tagged cartography, maps, tacografia. Bookmark the permalink. 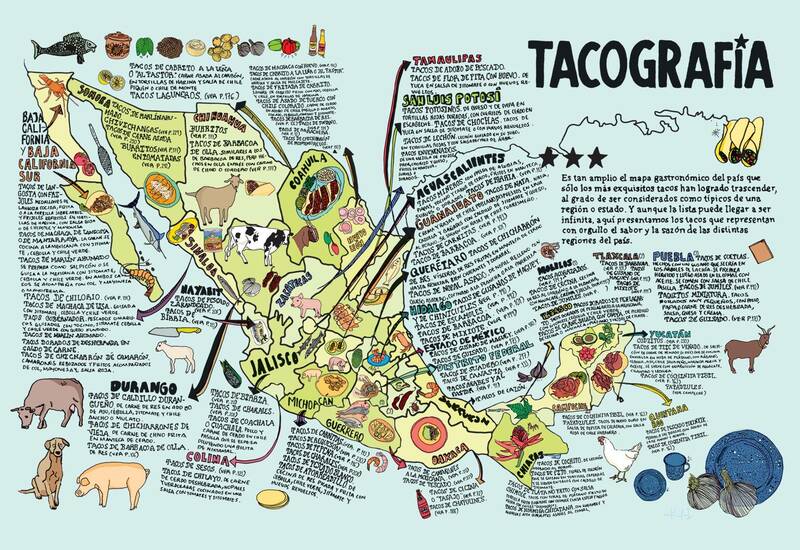 That’s a great map from an excellent resource, La Tacopedia. If you haven’t gotten your hands on it yet, I recommend doing so: http://www.amazon.com/tacopedia-Enciclopedia-taco-Spanish-Edition/dp/6077663352.There's also a Facebook page for the book: http://www.facebook.com/Tacopedia. Anyone seen Tacos Don Martin?? Missing sooo bad.